Note: The original article first appeared in the Mar/April 2016 edition of Pet Connection Magazine. This version contains minor edits. I never thought I would be saying that. I never had that much money at my disposal and, honestly, was more likely to give to environmental and humanitarian groups. In 2012, I was a frustrated woman disillusioned with her job. I had fiercely pursued a job managing and protecting the environment but the dream didn’t turn out the way I planned. I found myself “escaping” at lunch by searching Petfinder.com for a second dog. When I saw Gretel, it was love at first sight. 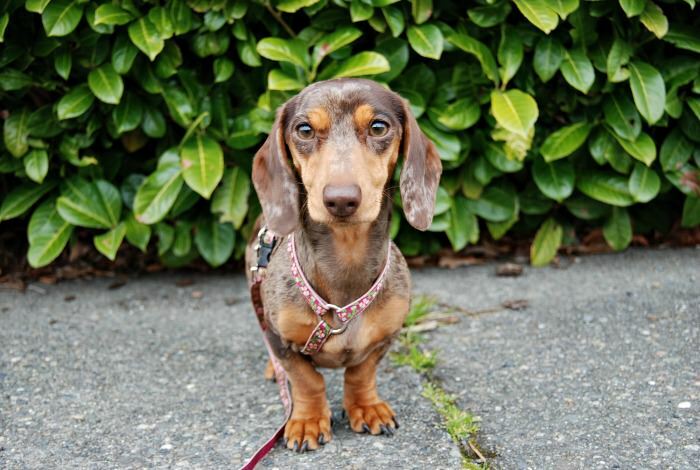 Her sad but bright eyes, and precious dappled face, compelled me to instantly message the rescue that had her – Motley Zoo Animal Rescue in Redmond, WA – and fill out an application. Our story is one of fate. After sorting through over 100 adoption applications, Motley Zoo Animal Rescue chose me as the perfect new “Mom” for Gretel. I then got cold feet due to my self-doubt about being able to care properly for a second dog. The second act of fate was that, despite there being a lengthy waiting list for Gretel, Motley Zoo did something they almost never do – they waited almost 4 days for me to come around. Eventually I did. I learned later that Gretel’s path to me was even more twisted than I had imagined, both literally and figuratively. She was surrendered to Motley Zoo Animal Rescue, in large part, because she was the victim of a dog flipper. Her life before the dog flipper is unknown but it’s safe to say that she had at least three “homes” before she came to live with me. The dog flipper got her from another home and then sold her to an unwitting couple. The couple eventually learned they had bought a dog under false pretenses and found that their beautiful little pup was anxious, aggressive, and possibly sick. Eventually, they had no choice but to surrender her to a rescue. My life completely changed after adopting Gretel. During her first hike – the day after we brought her home – I decided to start that blog about hiking with my dogs. You Did What With Your Wiener? – an outdoor and travel lifestyle blog that focuses on being active with your small dog – was born. Through my blog, I became connected with the animal community. I realized that, although I have a very inquisitive mind, my science job was not where I was meant to be. My true gift is being able to communicate and make personal connections with people. I also longed to spend more time at home with my dogs and help other people improve their relationship with their pets. Two years later, when my Grandmother died unexpectedly, I took the leap to start my own business. 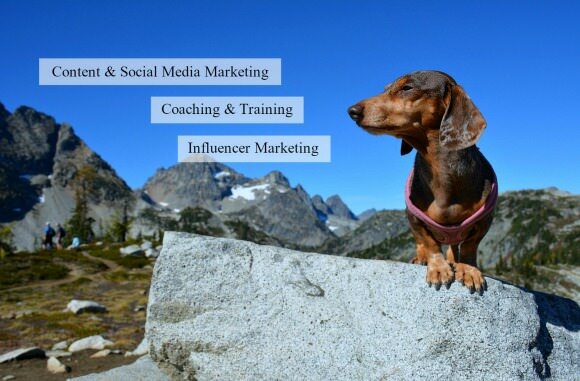 Today, I own my own pet-focused social media consulting business – PetTalk Media. My blog has continued to grow and has won several awards. In 2015, I won three prestigious awards. My blog won “Best Active Living Blog” in the DogTime Media Petties. My blog also won “Best Pet Blog Design” and “Best Dog Blog” from BlogPaws. Prizes for these three awards included $2,000 that I could donate to my favorite pet rescue. I donated the entire amount to Motley Zoo Animal Rescue because none of this would have been possible without them. Today, I am living the dream. I am able to spend more quality time with my dogs and focus on the things that matter most to me in life. Five years ago, I didn’t understand what a “heart dog” was. I loved every pet I had owned completely and equally. Gretel is different than the rest. Perhaps it’s the fateful circumstances that brought us together; maybe it is the way we had to learn to trust each other to work through her severe anxiety; or maybe it’s the way she gazes lovingly into my eyes. I am not sure I am Gretel’s hero or she is mine but my life wouldn’t be so overwhelmingly perfect if we hadn’t found each other. I certainly wouldn’t have been giving $2,000 to animal rescue. Her story is literally one of rags to riches and beyond. Read more about Gretel’s tumultuous beginning in my article Gretel, Hookers and Blow. this is a great story and i enjoy reading it again 🙂 we’re so glad fate brought everyone together for the betterment of so many animals and people! Thanks Sarah. I’m definitely tend to sweep accomplishments under the rug but I really have accomplished a lot with her help. 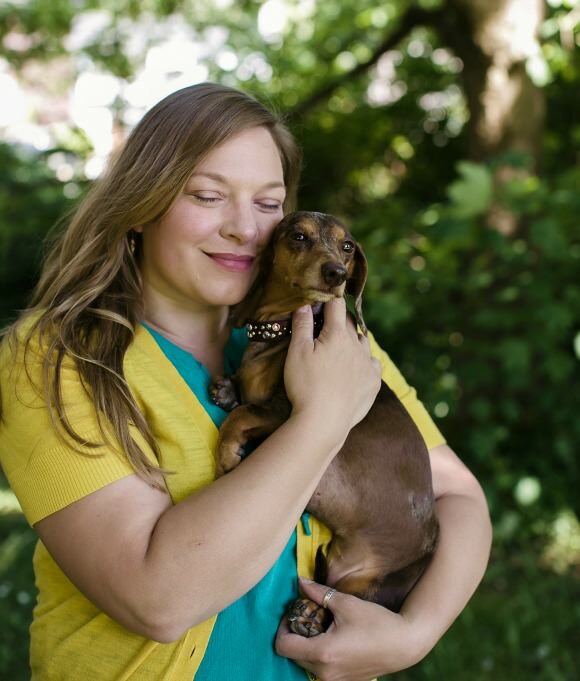 Jessica, your story about Gretel and how you found and took her under your wing, is very moving. You are definitely doing the right thing with your life. We are so glad to know you! I love her adoption story! A heart dog is truly an amazing thing to experience. I really did enjoy reading about how you and Gretal became a famiy. I am happy that you found your purpose in life. I am jelous of that. I have been seeking a new career path myself for several years now. I am a proud dog mom to manyof my own. I network the dog’s on the shelter E-List daily to get them freed. My true passion is puppies. I am a Hotel operater and have been for 30 years now. I would love to find a career working with dogs and make enough to provide for my family. My husband is not able to work any longer so it’s just me. Keep doing what you are doing! Hi Victoria. I was looking for an opportunity for years too before I decided to start my own business. I know I was fortunate that I was able to do so though. I was able to go back to school and spend a few years building my business while my husband worked fill time. Hopefully a great opportunity will come along with you. Nowadays, there are some companies that let you work remotely from home.